Menpa Yangdron is a licensed acupuncturist and herbalist, who has completed a Masters degree in Traditional Chinese Medicine from Five Branches University in Santa Cruz, California. She is currently pursuing her Doctorate of Acupuncture & Oriental Medicine at Five Branches University. She was born in Tibet and was first introduced to Tibetan Medicine as a young child by her uncle, who served as Chief Physician for the Integrative Unit of the Tibetan Medical Hospital (Men-Tsee-Khang) in Lhasa. She was later fortunate to work under his supervision at the Tibetan Medical Hospitals in Lhasa and Chengdu. Menpa Yangdron earned her Tibetan Medicine degree from the Tibetan Medical University in Lhasa, Tibet. She has been practicing Tibetan Medicine for over 20 years and she speaks and teaches throughout the United States, Canada, and Europe. Menpa Yangdron Kalzang founded the Kunde Institute, a center for Tibetan wellness and healing, with the mission of promoting and sustaining the wellness of mind and body through Tibetan medicine, acupuncture, and holistic integrative medicine approaches at an affordable cost. The Center is committed to preserving and continuing the tradition of healing with traditional Tibetan medicine practices as well as promoting traditional Tibetan health and wellness education for our modern world. 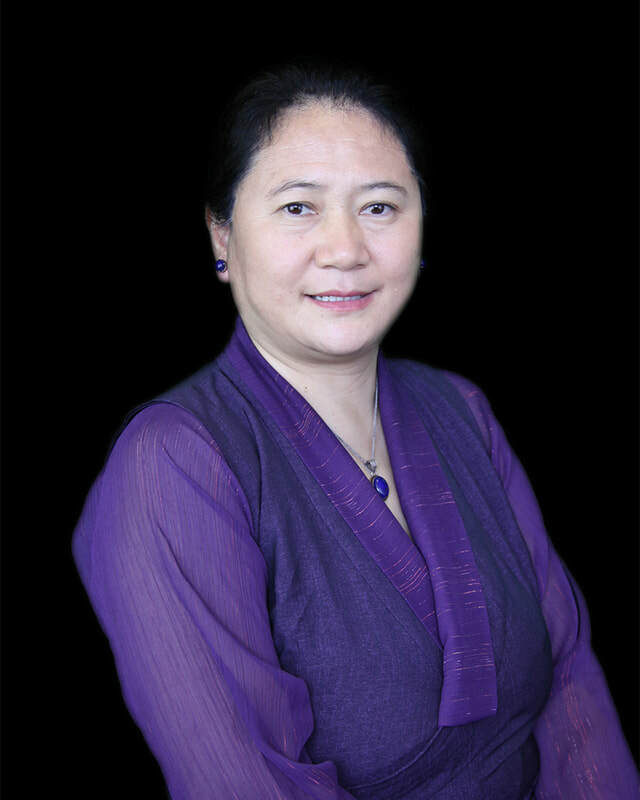 Yangdron Kalzang earned the Tibetan Medicine degree from the Tibetan Medical University in Lhasa, Tibet, and her Master's degree in Traditional Chinese Medicine from Five Branches University, Graduate School of Traditional Chinese Medicine, in Santa Cruz, California. She is an Acupuncturist licensed by the state of California and an Acupuncturist and Herbalist certified by the National Certification Commission for Acupuncture and Oriental Medicine (NCCAOM). She is a founding member and current faculty member of the Shang Shung Institute, School of Tibetan Medicine in Conway, Massachusetts as well as one of the original curriculum developers and consultants in the planning of their certificate program. For the past few years, she has been teaching Tibetan Medical courses at her alma mater, the Five Branches University. Yangdron Kalzang and the Kunde Institute serve as an educational resource for the University of California at San Francisco and Stanford University medical students and faculty and many Buddhist centers in the Bay Area. She regularly lectures and delivers seminars on Tibetan medicine. Highlights include The International Forum on Buddhism and Medicine in Montpellier, France 2006, along with lectures at Stanford University, the University of California at San Francisco, the University of California at Santa Cruz, Rice University, Amherst College, and many Buddhist centers. She lectured at the 1998 and 2003 Congress of Tibetan Medicine in Washington D.C. and the California State Oriental Medical Association Conference in 2002 and 2003. More recently, she has given presentations at the Rubin Museum in New York in 2016, conferences in Integrative Medicine in Barcelona and Tenerife, Spain in 2016 and 2017. ​With a strong commitment to better health and education, Yangdron Kalzang provides compassionate and effective healing services to the whole community. She lives in San Francisco with her husband and their two children.